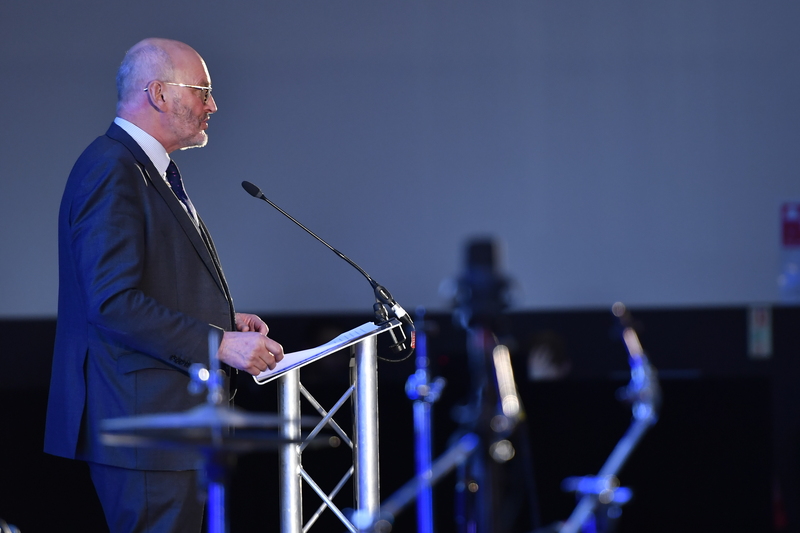 Embrace Child Victims of Crime used the grand setting of British APCO’s annual conference to launch not one – but three – exclusive initiatives. 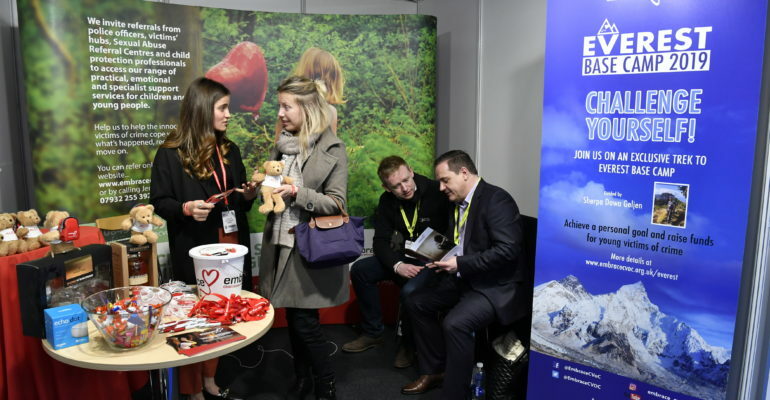 More than 5,000 BAPCO delegates flocked to the Ricoh Arena in Coventry on March 12 and 13 where Embrace held centre stage as the organisation’s charity partner, donating more than £5,000 to support young victims of crime over the course of the two days. Embrace Chief Executive Anne Campbell trekked around the conference to encourage delegates to sign-up to the charity’s challenge of a life-time to Everest Base Camp in November – places are still available. At the glittering gala dinner, Embrace showcased a powerful new video of its young ambassador Rhys Dickinson telling his story of surviving childhood sexual abuse – Rhys, 22, a University of Law student from Essex, had travelled to be there in person and received a rapturous round of applause. Embrace Chair of Trustees Sir Paul Stephenson entertained some 300 guests with tales from his 36 years in policing, retiring in 2011 as the most senior police officer in the UK as Commissioner of the Metropolitan Police – his observations on the current knife-crime debate featuring in The Telegraph. Embrace CEO Anne Campbell went on to launch the new Embrace 100 Club – an exclusive club for 100 companies to pledge £1000 per year for the next three years to support child victims of crime – announcing APD Communications as the first to sign up. The finale was a live premier of Embrace’s first ever charity single ‘How Long’ – written and performed by singer songwriters Trevor Jones and Bianca Ross aka Jones & Ross – the single is available for download now with every penny going to support young victims of crime. BAPCO, the British Association of Public Safety Communications Officials, last year named Embrace it’s charity partner for the next two years. The partnership enables BAPCO to directly fund support for child victims of crime across the UK, take part in specific initiatives and priority access to charity events and challenges.